We believe in the importance of building on lessons learned at primary school age and the need to disciple young people as they progress into secondary school education; where they are faced with challenges to their faith, and the teachings of the Bible. Junior Bible Class (JBC) caters for teenagers in Years 8 & 9, and runs each Sunday morning, September through June, from 11.30am to 12.30pm. Following a time of praise for everyone in our Church Family Service; the JBC teens depart to “The Loft” at 11.45am until 12.30pm. JBC lessons seek to develop knowledge gained during the Kids Quest years, but are equally suitable for teens who have not attended our Kids Quest programme. There is opportunity to ask searching questions, or to request that topics of concern or interest are addressed as part of the lesson programme for the year. Our goal is that these teenagers, if they have not already done so, make a decision to follow Christ; and that we help them attain the knowledge and confidence they need to be witnesses for the Lord Jesus to their families and friends. 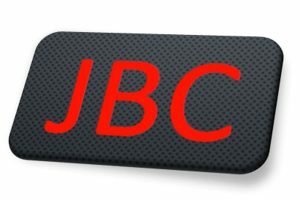 If you would like further information on JBC please contact us via our contact page.